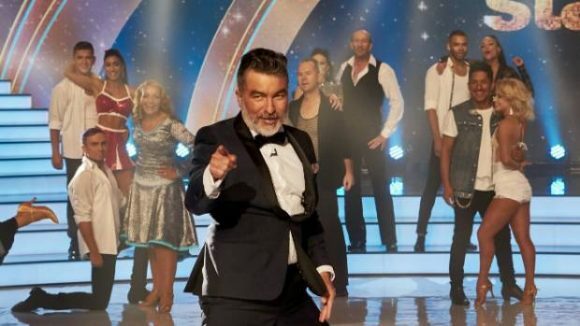 MediaWorks reports nearly one million viewers tuned into last night’s season premiere of Dancing With The Stars NZ. It won its 90-minute slot across all the core commercial demographics — 25-54, 18-39, 18-49, household shoppers with kids — and out-rated 2015’s season finale with an 11.2 rating and 29.1% audience share in Three’s target audience, 25-54. “Dancing With The Stars is shaking sequins all over the place after three years away, and it might just be better than ever,” was Stuff’s verdict. Not surprisingly, the network movie premiere of Central Intelligence, which followed at 8.30, won its slot with 7.1% of 25-54s and a 25.7% audience share. The bumper numbers will set up Three nicely for the rest of the week, with Lost & Found returning after tonight’s DWTS and the network ditching weeknight instalments of American Idol for new seasons of Grand Designs UK and NCIS, and a Wednesday night Star Wars season of the first six movies in the franchise. There was more good news for Three on Friday, when the premiere of Best Foods Comedy Gala won its slot with a 3.3% of 25-54s and a 15.2% audience share, off the back of The Graham Norton Show and 7 Days winning their slots in the same demo. Why should MediaWorks have all the joy? Come on, TVNZ — we need something better.